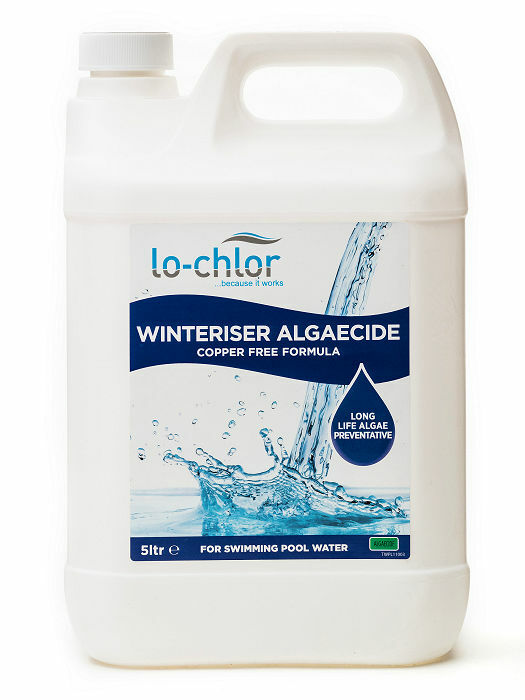 Lo-Chlor Winteriser - 5 Litres is a long life copper free algaecide which has been specifically designed to be used through the winter shutdown period. Q - What is it? - Lo-Chlor Winteriser Algaacide is a long life copper free algaecide which has been specifally designed to be used through the winter shutdown period. Q - Who needs it? Every pool owner who wants to prevent algaa growth in their pool throughout winter. Every pool owner who is going on holiday and doesn't want to return to a pool ridden with algae. 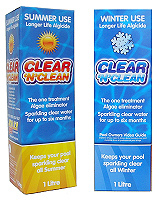 Winteriser Algaecide will prevent oocurrence of algae over the winter period. Q - What advantages does it have over other similar products? It need only be used once every 3 rnonths. It rnay be used in all types of pooI finishes.